March is a month of many celebrations in Grand Junction, but how to keep track of it all. You might want to keep this list handy all month long so you can be sure and celebrate the right thing on the right day. Most of us are employees so this is a day that most of us should be appreciated and feel appreciated - but most likely won't be. Maybe all of the unappreciated employees can appreciate each other on this day. Hand claps and pats on the back for everyone! It's always good to have a day to show some love to our military men and women - especially those from our home state and our hometown. So, if you know a soldier, today is a great day to show the love. Nobody I know enjoys going to the dentist, but that doesn't mean we don't appreciate the work they do and the way they take care of our teeth. We may not look forward to the trip, but we're always glad we went. Actually, I don't think we need a Be Nasty Day, but to all of the working women in the Grand Valley - especially the ones that will go home to a husband and kids who want dinner and to be taken to ball practice--we salute you!! We aren't going to limit today's celebration to guys only. For all the guys and gals who love the feel of tools in their hands, this day's for you. Now that the cookie-selling season is done, you may not be seeing the Girl Scouts around Grand Junction as much, but that doesn't mean they aren't hard at work learning to become great leaders and strong women of tomorrow. Why couldn&apos;t EVERY day be potato chip day? Well, because then National Potato Chip Day wouldn&apos;t be nearly as special. So grab a bag of your favorite chips today and enjoy! Everybody knows about St. Patty's Day and the corned beef thing, but what about the submarines? We aren't exactly sure if we are celebrating the floating ocean vessel or the sandwich -- so take your pick. 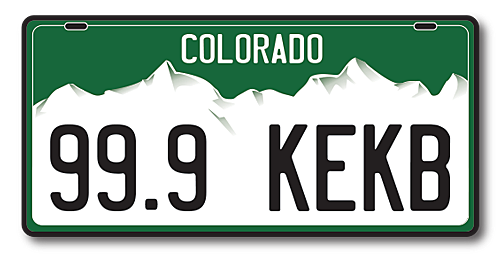 For western Colorado residents who believe they were once abducted by aliens - or hope to be someday, here's a day to celebrate the abduction. What exactly does one wear to an alien abduction? Most of us love puppies - and there are probably some puppies at our local animal shelters that need a loving home -maybe yours is just the perfect one! See what is available at Mesa County Animal Services and Roice-Hurst. I'm all for celebrating this day -- except could I get mine without the raisins? Pecans and waffles actually go together quite nicely in case you didn't know. Make a batch of waffles today and stir in a generous helping of pecans. Yummy! Believe it or not, the weeds we are talking about are the kind that you try to keep out of your garden, not the kind you smoke. Weeds actually provide food and shelter for birds and wildlife, so, of course, we have to love on the weeds a little bit. To all the mom and pop businesses out there, we salute you. You're a hard-working bunch and we want you to know we support you and appreciate you. There is nothing like a walk in the park on a spring day in Grand Junction -- and we have some great parks. Don't forget to clean up after your doggie. Remember the "Andy Griffith" episode where the Morrison sisters are making up moonshine, but the only sell it to people who are celebrating holidays and special occasions? Well, it sure looks like you could be celebrating all month long.